The BBQ is the cornerstone of every Aussie backyard, and every Aussie event, gathering or party. If you’re looking out into your backyard and feeling a little empty, chances are it’s because there’s no BBQ there! With Everlast Services, you can get much more than just a 4-burner that sits in a corner and gathers dust. We can provide you with a full inbuilt BBQ and outdoor kitchen service. You want a fridge built into your BBQ set up; we can do it. You want a sink next to your BBQ; we can do it! In fact, we can create whatever set-up you can imagine, and we’ll even help you in the design process. 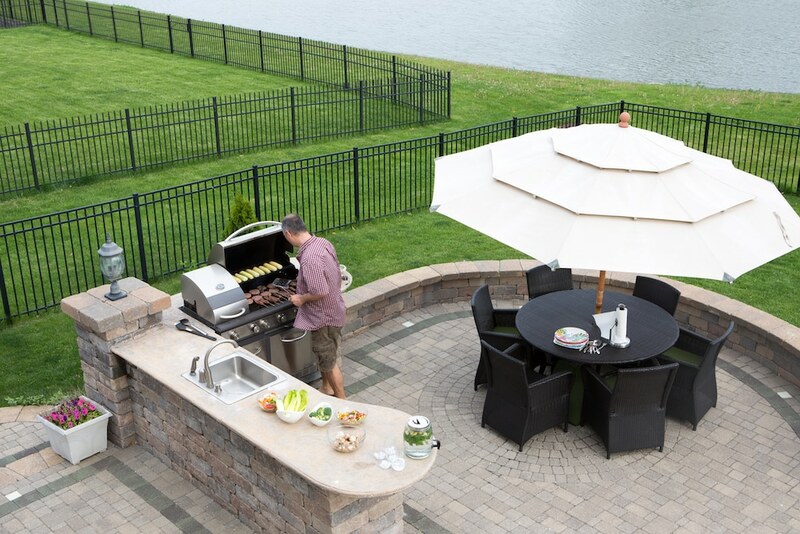 Whether you want a bricked-in BBQ, a stainless steel outdoor kitchen or something in between, we promise a high-quality BBQ solution that is installed with the highest standards of craftsmanship. Why Pick Everlast for Your BBQ? We have a steel fabrication plant in Hoppers Crossing. This gives us a number of advantages. Firstly, we cut out the middleman, which allows us to save costs and reduce the quote, and secondly, we maintain quality control over the whole process. Our plant allows us to satisfy our two chief objectives – to provide quality products and services at affordable prices. We are committed to giving back to the local area that has given us so much. We do this by sourcing everything we possibly can from local suppliers, to ensure that the money we receive for our services stays local. We’ve been building BBQ solutions for Australian for over 20-years. We know what we’re doing, and we know how to get the most out of your space. Our skilled tradesman will provide you with a finished product that not only meets your expectations but exceeds them. On top of our BBQ service, we also offer the full suite of landscaping services as well as decking, concreting and paving services that will make up the floor of your patio.